CHI Franciscan Health, parent company of Harrison Medical Center, recently extended its virtual urgent care service to Kitsap County. 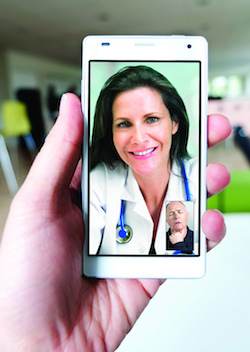 Each virtual visit costs $35, a fee not covered by health plans, at least until this month. Molina Healthcare announced March 4 it will begin covering the urgent care service for its Medicaid (Apple Health) clients who are already established with a CHI Franciscan primary care provider. Franciscan and Molina estimated 16,000 members will gain access to free online urgent care. “Establishing a partnership with Molina to cover Virtual Urgent Care is a big step forward for CHI Franciscan Health and for the virtual health care industry as a whole,” CHI Franciscan Chief Medical Officer Mark Adams said in a news release. CHI Franciscan launched the virtual urgent care in September 2013 and extended the service to Kitsap in January. About 200 patients per month use the online portal.